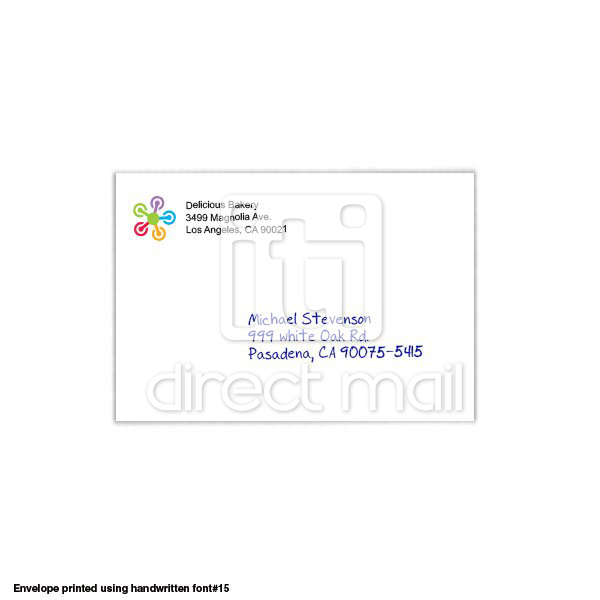 This product includes printing the return address area (including any logos) and messages on the envelope. 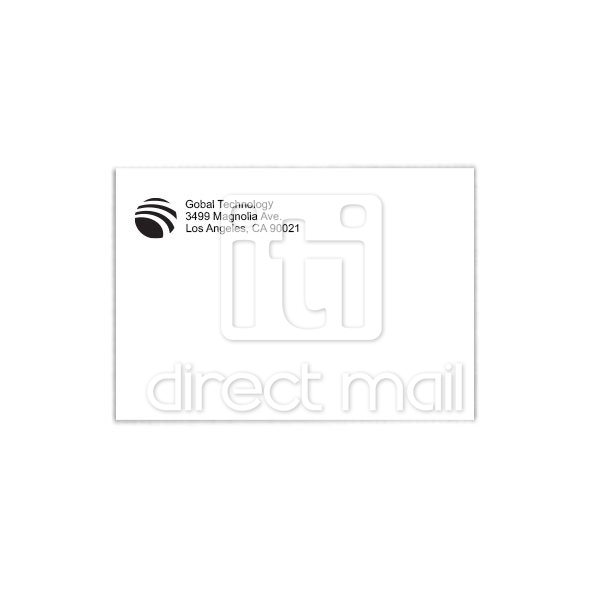 Addressing is optional and you may choose to have your envelopes addressed by choosing the appropriate option from Addressing Services. 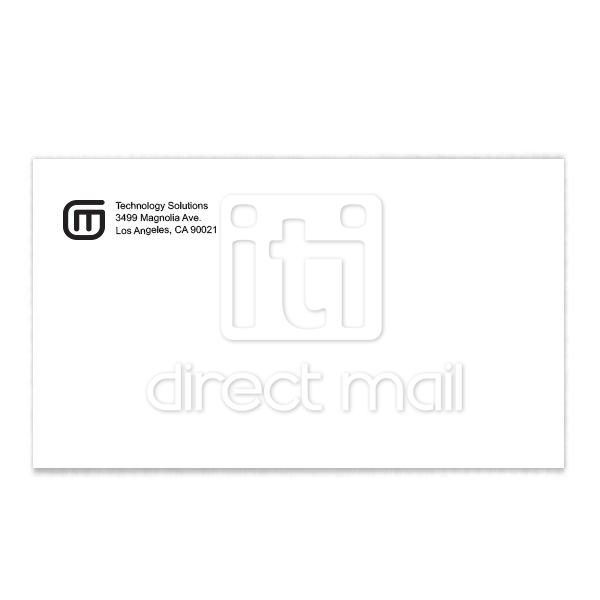 Contact us for custom size & stock envelopes. Bleed: This product is not full bleed. 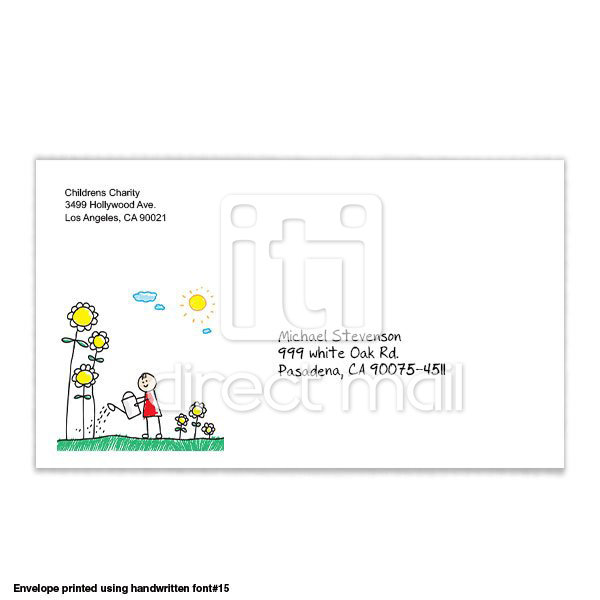 You must have a 0.25" clear margin on all 4 sides. Ink coverage: Your ink coverage must be less than 25%. 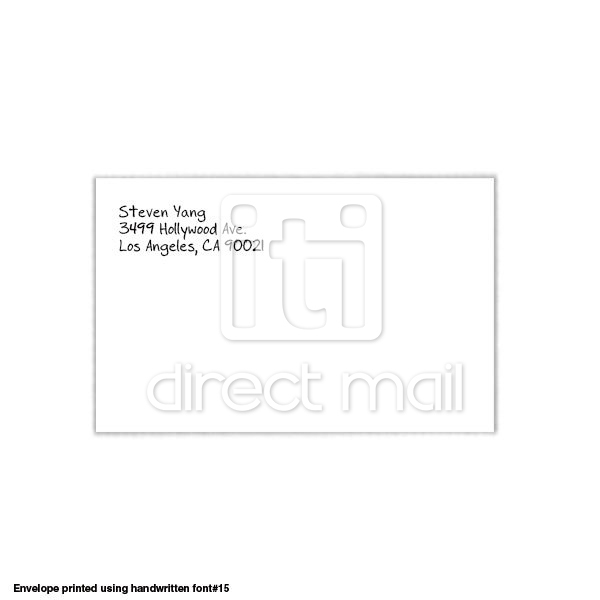 Envelopes with higher ink coverage must be printed via offset press. 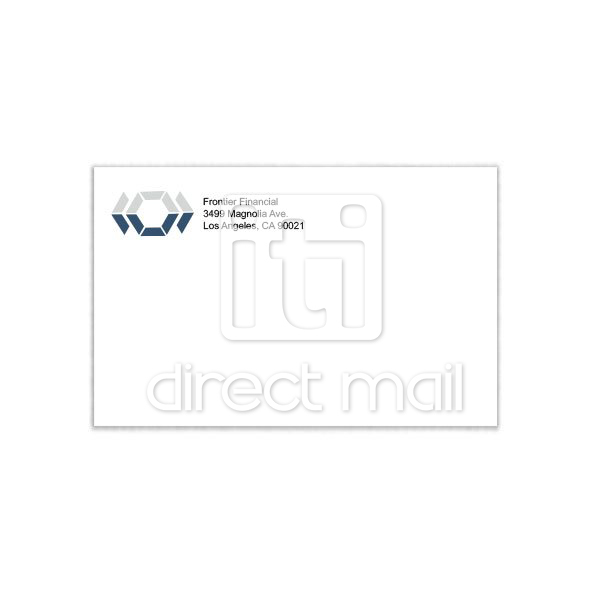 A standard envelope with return address and logo is only about 10%.